I posted a while ago about my first thoughts on the Hogzilla LED Flashlight that I had received and I have been waiting for the perfect time and perfect opportunity to review this light. Now the light set up that I received was a the Bow Hog. I haven't put it on my bow yet so I decided to put it on a gun. As I was looking at which gun I was going to put it on, my dad actually showed me his Ruger 10/22 that he decided to deck out with an x-ring barrel from Tactical Solutions. I thought that this was a perfect gun to throw the Hogzilla light on. The Hogzilla comes with a pressure switch so you can press it down and it turns the light on momentarily so you don't have to have it on constantly. I love this feature because when you're out hunting coyotes in the dark, you won't give away your location by constantly having a light on. I haven't been able to get out and hunt coyotes with this yet but just to give you an idea of what the light looks like we took some pictures with it around the house. The fence post you can see in the picture is about 60-70 yards away. With the Hogzilla light it was very easy to see out to 200 yards with the scope. The one thing I would suggest and it is a minor thing is some way to attach the pressure switch to your bow or gun. Like I said this is minor and I'm sure there are many people out there that would rig it up the way they want to anyway. All things considered I would definitely recommend this to anyone who is looking for an LED hunting light. It is very light weight and adding it to a bow would not be a major problem. My deer season ends mid December and then I will be putting this on my bow in hopes of shooting a coyote at night. Overall I was very pleased with this flashlight. 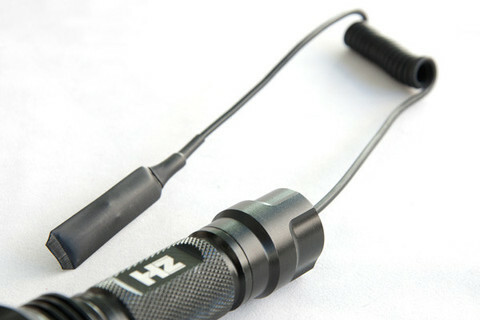 If you hunt hogs, predators, or just are able to legally hunt at night this is a must have. It is very easy to attach to your weapon. As with all reviews on High Country Bowhunter, the following review is my honest opinion, I received the Hogzilla LED Flashlight and agreed to provide a review in exchange. I am not sponsored by or associated with Hogzilla Lights and accepting no other compensation, monetary or otherwise, in exchange for this review. My independent status may change in the future but, as of the date of publication, no relationship other than described above has been pursued or established. We have all heard the saying “practice makes perfect.” While I believe this to be true, I feel like there is more to practice than just practice itself. 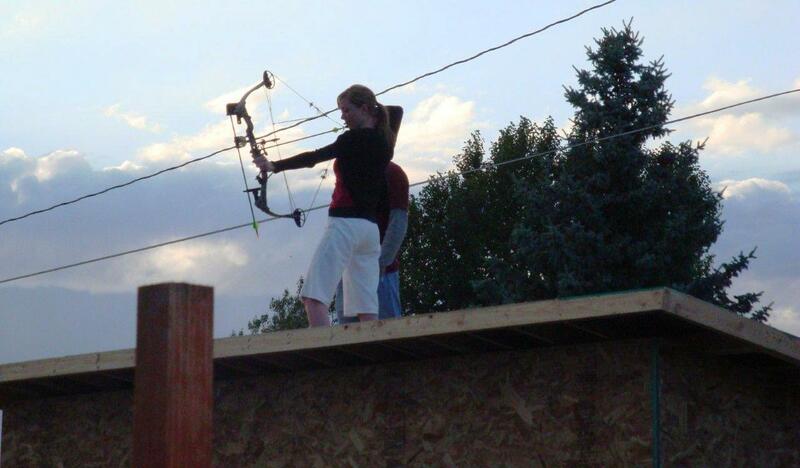 Shooting your bow often will help strengthen the muscles that are being used as well as building the muscle memory. Now don’t get me wrong, this is all good practice but here are a few ways to become a better archery hunter. As nice as it would be to always have an animal come in at 20 yards and stand there broadside with nothing between you or them, let’s be honest, it doesn’t always happen. Set Up several different realistic scenarios in which you think you might get a shot. When I am spot and stalk hunting for deer or elk, I need to use the trees, rocks, or sagebrush for cover. I try and recreate some of these situations by setting up my target and actually trying to sneak up on it and draw while trying to stay covered then slowly peek around and place an accurate shot. This is one that I strive to focus a lot of my attention. 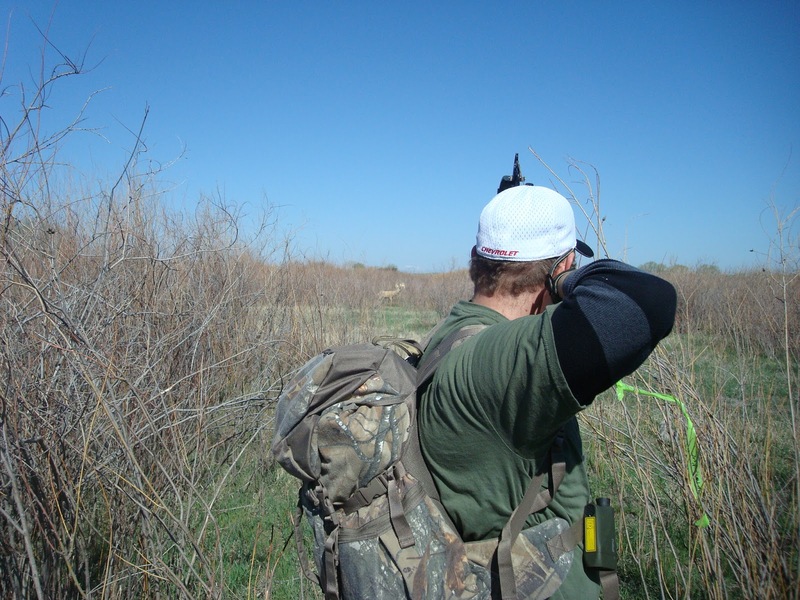 There are different times of the year that you hunt which requires different clothing. This is why I practice often so as the seasons change, I will know how I shoot with certain layers on. Now building the muscle memory and being consistent in your form won’t change, but you may find that one extra layer could be getting hit by the string as you shoot so you need to add a shooting sleeve over that layer. It will feel different when you have a hunting pack on. There have been plenty of times when hiking in with my pack on I get an opportunity at an animal. By practicing with my pack on I have the confidence knowing I can make that shot. So recently I was asked to be a part of an elk hunting documentary called Elk Tour. This was a great opportunity to spend three days chasing elk in hopes of putting some meat in the freezer as well as capturing it all on film. I was like a little kid waiting for Christmas morning. I had been looking forward to this hunt and was counting down the days. My dad had taken the day before the hunt off and headed up and had set up camp while he patiently waited for my brother and me to meet up there. Once we got there we immediately began to plan what we were going to do the next morning. We finally narrowed it down and went to bed. That next morning we were up and headed out to the top of the ridge in hopes of hearing the elk screaming away. We made the climb and just as we got to the top, we heard a bull bugle off in the distance. My brother and I got all set up and my dad was set up further up the ridge calling. The adrenaline was going and we were all anxious to start seeing some elk. But unfortunately the elk never came into the calls. We then made it around to our trail cameras we had on a water hole that we had found. We check the pictures to see if the elk were coming in for water and from both cameras we could tell that they were coming in occasionally but not as many elk as we would have liked to have seen. But they were coming into the water in the evenings, so we made a decision that I would sit up on the water hole that evening and my dad was going to sit down below near this meadow. As I sat up on the water hole, there was nothing moving. The elk weren’t talking and the night was closing in so I decided to hunt my way back down to where my dad was sitting. As much as I want it to be my turn to put my tag on an animal, I have been fortunate enough to have tagged along on a couple successful hunts this season. Recently a friend of mine came to me and asked me if I could help him go deer hunting and like most of us it takes a lot to get me to go deer hunting (insert sarcasm). So with that being said we sat down and I helped him pick out which tag he would have the best options of shooting a deer. 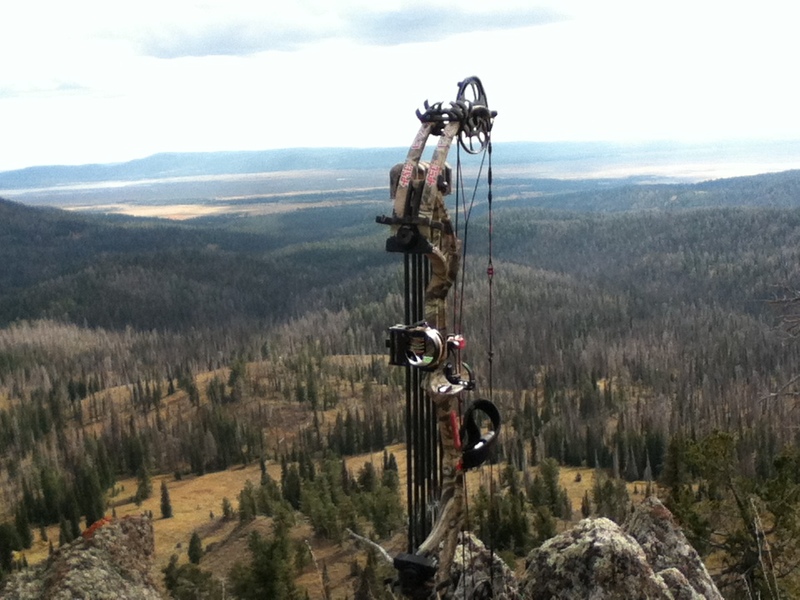 We headed out to an area that has big deer potential but also to scout the area for elk. He wanted to try and get an elk as well but that didn't open until the following weekend which unfortunately I was going to be out of town for. So we decided that we would head up in this area and scout for elk while we hunted for deer. We crossed paths with a cow moose and her calf. This was cool to watch her and her calf stare us down. As we were watching this my buddy said that this was the first time he has seen a moose "in the wild". Even though we live in town, we live close enough to the river that sometimes we get moose wandering through town. So he thought it was pretty cool to see these moose in their natural setting. With all of our walking and luck in the higher mountain country, we decided to make our way closer to the river and hunt near there. This proved to be a better option. Within about 100 yards of getting into the brush we jumped a whitetail. I motioned to my friend and we slowly started making our way in the deer's direction. We ended up jumping the deer another time but we were pretty close to the river by now and knew it could go very far. We then came out right next to the river and I saw some track headed across the mud onto a finger of the river. I told my buddy to set up where the tracks were and I was going to push that section and if the deer is there it will come right back across this spot. I knew this because where the deer crossed, it was just a little sliver of land surrounded by the river. I knew that if I walked down that sliver, the deer would circle around behind me and cross right back where it came. It was pretty thick cover and I made my way down and as I got to the end of the little sliver of land I heard something get up and run behind me. I waited for it and sure enough I heard a shot ring out, then another, and then a third. I ran over to the edge and saw my friend jumping up and down and running across the mud. I made my way over there and he started hollering "I shot a deer! I shot a deer!" You couldn't wipe the grin of of his face. The smile on his face says it all! Grinning from ear to ear he kept recounting the story and living in the moment. I was excited to be able to have been there to help and be a part of this experience. I know that this will be one that I won't forget and I know that he won't either. He Insisted to carry it out..